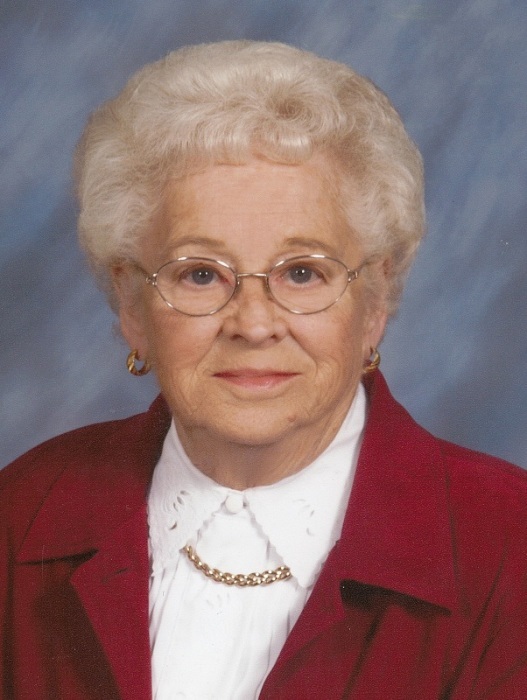 Martha B. Kirkland, 96, of Edgington, Illinois died Monday, November 12, 2018 at Clarissa C. Cook Hospice House, Bettendorf, Iowa. Funeral services are Friday, November 16th at Edgington Evangelical Presbyterian Church at 1:00 p.m., with visitation from 11:00 a.m. until the time of service. Memorials may be left for Edgington Evangelical Presbyterian Church or the Kirkland family. Burial will be at Edgington Cemetery. Dennison Funeral Home - Aledo is handling arrangements. Martha was born September 19, 1922 in Buffalo Prairie, Illinois the daughter of Kline and Mary Bopp Hessman. She married Odell C. Kirkland August 8, 1946. He died October 20, 1973. Martha was a member of Edgington Evangelical Presbyterian Church and assisted with many church functions. She enjoyed tending to her yard and flowers, as well as reading. She was the world’s best apple and pumpkin pie and sugar cookie maker. Martha is survived by her children Larry (Darcy) Kirkland of Muscatine, Iowa and Patty (Mike) Nelson of Viola, Illinois; 3 grandchildren; 3 great grandchildren; sisters Luella (Jim) Doonan of Aledo, Illinois and Eileen Anderson of West Branch, Iowa and several nieces and nephews. She was preceded in death by her husband, 3 brothers and 5 sisters.